T shirt, made of 100% organic cotton. Produced under the international fair wear standards. This organic cotton eco shirt does not leave any doubts about your way of life. 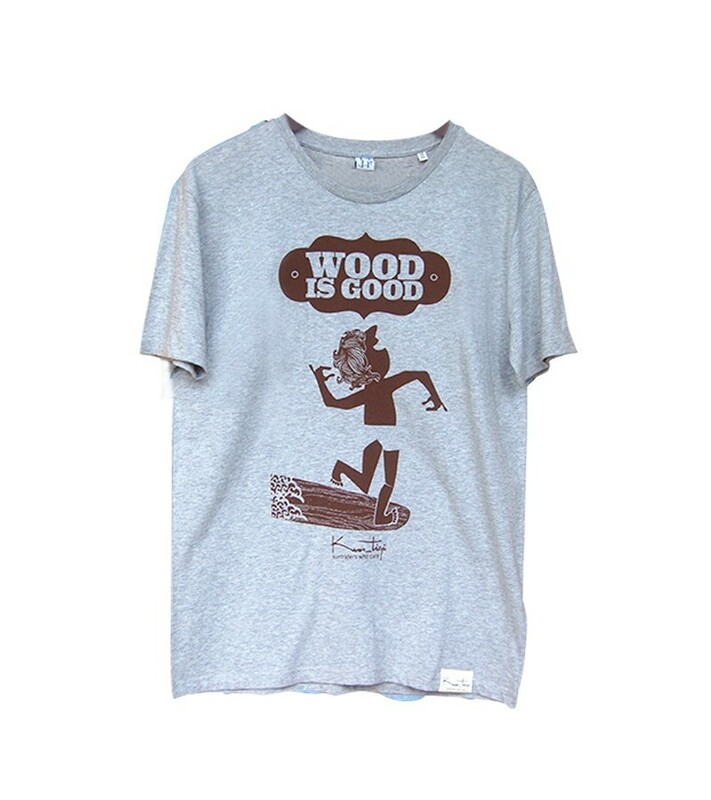 Screen printed "Wood is good" design at the front on ecru shirt.